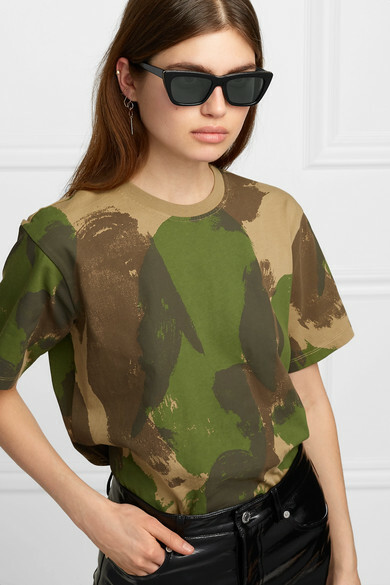 Stella McCartney's sunglasses have a cool cat-eye shape - the winged temples will really enhance your cheekbones. 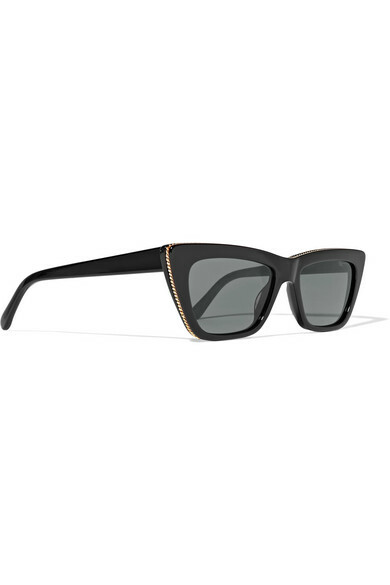 Embellished with a gold metal trim, they're made from biodegradable acetate and fitted with black lenses. Shown here with: Victoria Beckham T-shirt, Natasha Schweitzer Necklace, Saskia Diez Earrings, Catbird Earrings, SARAH & SEBASTIAN Earring.